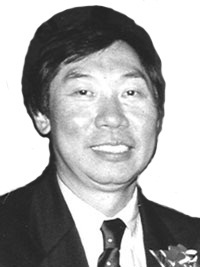 The Board of Directors of the Chinatown Health Clinic Foundation is proud to announce a scholarship program in honor of Mr. Dickson Hee, former Chair of the Charles B. Wang Community Health Center. He received an MS in Biology from New York University, and MPH in Health Administration and MBA in Finance from Columbia University. He worked as a research scientist at New York University and a health care consultant at Booz Allen Hamilton and Kidder, Peabody & Co. He was also President of Hong Hop Noodle, a family owned business located in Manhattan’s Chinatown. The purpose of the scholarship is to provide professional development opportunities for frontline health care workers as well as paraprofessional and support staff at the Charles B. Wang Community Health Center. Some examples of job titles held by eligible employees include but are not limited to: patient service representatives, care managers, social work assistants, medical assistants, outreach workers, health educators, administrative assistants, family health workers, billing clerks, and facilities assistants. Must be a full time employee of the Charles B. Wang Community Health Center. Part time employees who work at least 21 hours per week are also eligible. Must have worked at the Health Center for at least one year. Active volunteer or intern at the Charles B. Wang Community Health Center (must have contributed at least 200 hours of service). Personal statement (no more than 2 pages, typed, double-spaced) that describes applicant’s current position, career goals, plans for using the scholarship, and how the training will improve skills and competencies for a current job, or acquire new skills in order to move up the career ladder.